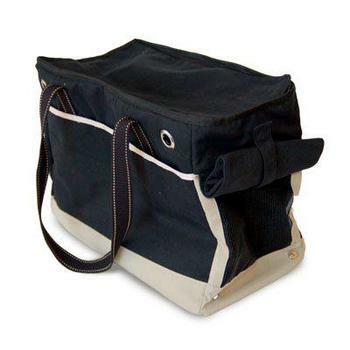 Roomy canvas tote designed with zipper top closure, mesh windows with folding covers, softly padded walls, double shoulder straps, safety leash. One of the biggest carry bags available for your pets comfort.Dogo Pet carrier also features four pockets for all your stuff. Measures 17x 8 x13 inches.